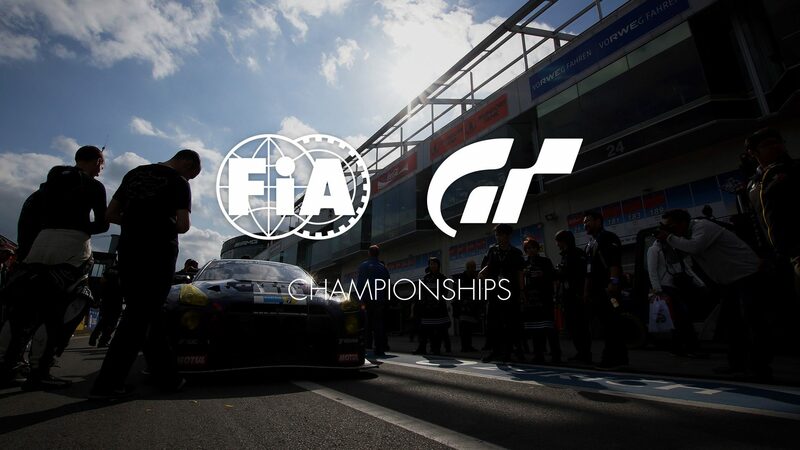 Discussion in 'Gran Turismo Sport' started by GTPNewsWire, Nov 2, 2018. This article was published by Kyle Patrick (@SlipZtrEm) on November 2nd, 2018 in the Esports category. dimassa19, Cuber Tom, queleuleu and 1 other person like this. Racing in Monaco for the World Finals of Gran Turismo one week after my birthday, it's already a great present! SleezyBigSlim, Letadlo, ASH32 and 21 others like this. *Ahem* Why is Nik_Makozi's name not in full? A race on Cote D'Azur with Formula 1's would be awesome! outofspace, Marcobzzcs, ProjectF and 5 others like this. Should be an incredible event. The whole season's been brilliant thus far. Looking forward to see what Polyphony have up their sleeve. Perhaps a return of Cote d'Azur? Great circuit from a visual point of view but the real question is, does it make for great racing? Still eager to get my hands on Catalunya! Marcobzzcs, ProjectF, HydrotypeR and 2 others like this. EDIT: Thanks for moving it to the GTS subforum! I would not be surprised if Cote d'Azure will come back in the November or December update, I'm curious if the formula E will appear in gts, as we all know the formula E has its round in Monaco but on short version of the track. If the previous FIA events are any indication, this will likely mean the return of an old track to the roster. Hopefully licensed this time. You know the one. Monaco or "Côte d'Azur" is always a good upload idea, just curious to see a world final race with RedBull cars into. Kalder and sundaydriving like this. It would be the first city track in GTSport, and a perfect track for slow cars. Cerebral303, james h and Rinsky like this. Who remembers the stuff like the 2J or TOyota 7 around MOnaco. Its almost an institution that overpowered cars go around MOnaco. How about an F1 car? Did you read the sentence above it? Never been a huge fan of racing at Monaco or "Côte d'Azur" in GT with fast cars. Its such a small tight course with really no margin for error the faster you go. Not to mention that passing cleanly is very difficult if not almost impossible depending on the cars. Could you imagine the chaos if that track came up in Sport Mode with the F1 car. But I do agree with other post in this thread that it's a great track for the slower cars in the game at least for me anyway. Sander 001 and Interstellar9 like this. Don't understand why some people are taking it for granted that we are suddenly getting Monaco. There is no pattern. And no, Fuji was shown at the World Tour event in Austria. If Monte Carlo is in a future update, we should get the Formula Gran Turismo again. The Mercedes F1 is nice put the original PD F1 cars always felt more special to me... Maybe include the Polyphony001 as well? nickf1gr and ProjectF like this. They can do with F1 car sure. But they don't have F1 license, and I don't imagine a race with McLaren F1 only. The Red Bull is the perfect car: Gran Turismo creation (no license), and the occasion to show how PD is able to create a car. They can add the Polyphony F1, but this car is less iconic than Red Bull. What about the AMG Mercedes F1 car? Are you saying there’s a licensing issue in that it cannot be raced in a broadcast? But, PD developped a car (RedBull), so they show their creation. But under Gran Turismo license rights. It's only a partnership between Gran Turismo and RedBull. November 16th, 18:00 local time Noted. I'll be watching. I wonder why I couldn't find a date and time anywhere else, not even on the gran turismo website. We'll be watching this with a lot of attention this weekend. OK so probably a dumb question but after more searching than I would like to admit I have located the youtube links for the live streams. Since the first one will be Friday morning at 9:00 AM I won't be able to watch it live. Will it be available right after that though? so that I can watch it when I get home?